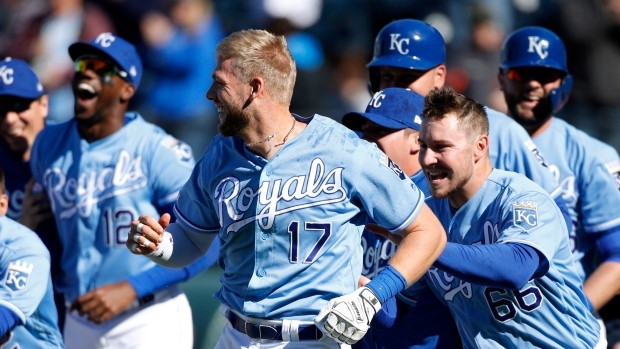 The pinch-running extraordinaire stole a base and then scored on Hunter Dozier's single in the ninth, lifting the Kansas City Royals over the Cleveland Indians 9-8 to complete a three-game sweep of the AL Central favourites. "I looked at (Hand) before I went out there and saw his pickoff move," Gore said with a wide smile. "I found the key to go on. I found a good pitch to go on. I saw the ball trickle out to centre, and me being aggressive. I went for third." Royals: CF Billy Hamilton was not in the starting lineup, but manager Ned Yost said he "absolutely would be available" to play defence if necessary, but probably not to pinch run. He has a mild MCL sprain and a bone bruise on his left knee suffered when he crashed into the wall Thursday. Hamilton did not play.